32 bar jig at 66bpm. This seems a little slow; the versions I have found on the Web are at 75 to 80 bpm. The Turn Single at the end of B1 is presumably only half a turn, not one and a half. 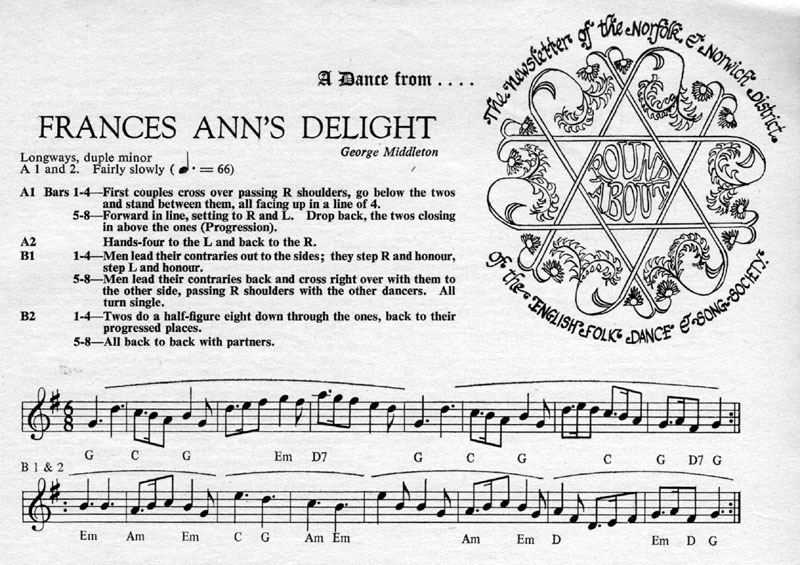 The dance was written for George's wife.